When it comes to exterior home maintenance, a common issue is mold and mildew. Virtually every property owner knows the nasty discoloration it creates on your exterior – it’s an eyesore and it jeopardizes the long-term quality of your home or business. Clear Shine Maintenance provides the expertise to remove the eyesore once and for all! Our part of the country is no stranger to mold and mildew. We might like the warm, humid climate – but so does algae growth. The implications for our property can be severe. These natural contaminants will grow on just about anything with the right amount of shade and moisture like the north facing side of your home or roof. 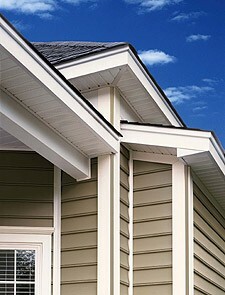 Mildew and mold will appear on vinyl siding, shingle roofs, concrete, and many other surfaces. 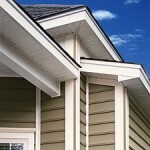 You’ll typically notice it as a series of black streaks on the roof or a collection of dark-colored dots on the home. It often starts small and if left unchecked will quickly expand to affect the majority of your exterior. Mold and mildew is a headache for any home or business owner. But it can be cleaned with proper mold and mildew cleaning methods. At Clear Shine Maintenance, we specialize in mold and mildew removal. Our SoftWash method for cleaning mold and mildew is the safest and most effective way to address the issue. Low pressure equipment combined with the proper mold cleaners will not only remove mold and mildew, but kill them as well. Using only pressurized water to clean mold and mildew is a temporary solution, which allow re-growth to come back quickly. We don’t believe in temporary solutions. And that’s why our customers will always get SoftWash mold and mildew removal services. Our mold and mildew removal services will kill the stains at the root so they don’t grow back anytime soon. Cleaning mold and mildew from your home’s surfaces will ensure their beauty, longevity, and value. With our SoftWash cleaning method there is never a need to worry about damage to your home. The gentle approach also allows us to be completely detail-oriented when attending to your exterior, so you can rest assured that every mold spore will be removed for good. When you invest in a mold and mildew removal solution from Clear Shine Maintenance, you’re getting a property that is the paradigm of curb appeal. It’s also curb appeal that will last. We guarantee long-term solutions that will put the quality and aesthetics of your property in the driver’s seat. Your property needs some periodic maintenance in order to remain free of mold and mildew, and we’re happy to be here when your home or business needs it. Regular maintenance and properly removing mold and mildew are great ways of protecting your largest investment. As a professional mold and mildew removal contractor, we are aware of related health issues. This is another reason why it’s so important to kill mold and mildew stains and remove them completely. See why we are the area’s best exterior mold and mildew removal company providing mildew, algae, and mold cleaning services.